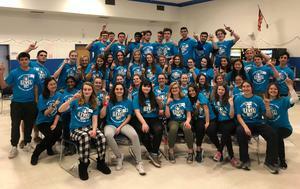 “I want kids to know they are not alone in the challenges they face and that they can offer support to one another,” said health teacher Susan Kolesar, who created the program in 2004. 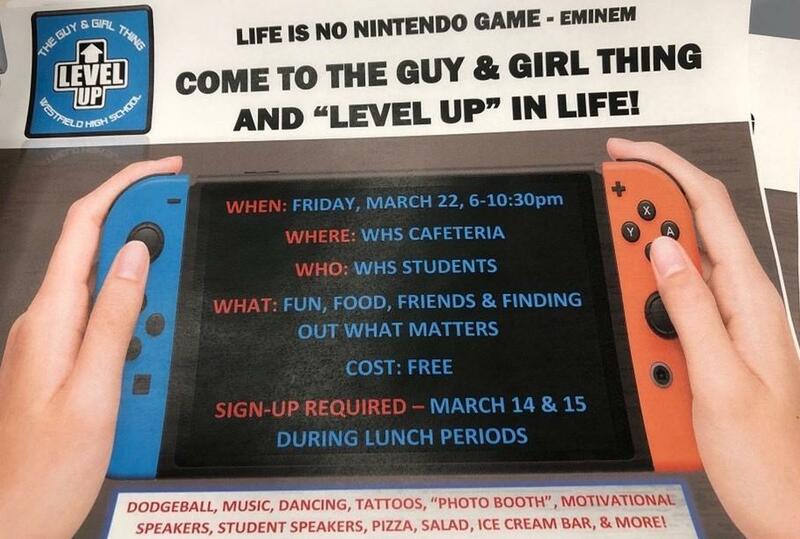 Kolesar said the Guy & Girl Thing is “a way for upperclassmen to share their stories and give back to their school by serving as role models of young people, being vulnerable, yet strong and resilient.” This year’s theme was “Level Up!”, a play on the video game term about getting to the next level. 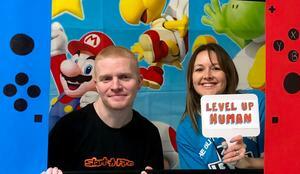 The event challenged student to “level up” in life, as individuals, friends, and support system for their peers. To get the evening started and break the ice, students were offered a variety of activities, including a dodgeball tournament, taking silly photos in a “photo booth” designed to make them look like they were in a video game, and painting “Kindness Rocks” with motivational sayings that will adorn the high school courtyard. Dinner followed the activities before the presentation of compelling personal accounts from adults and classmates. 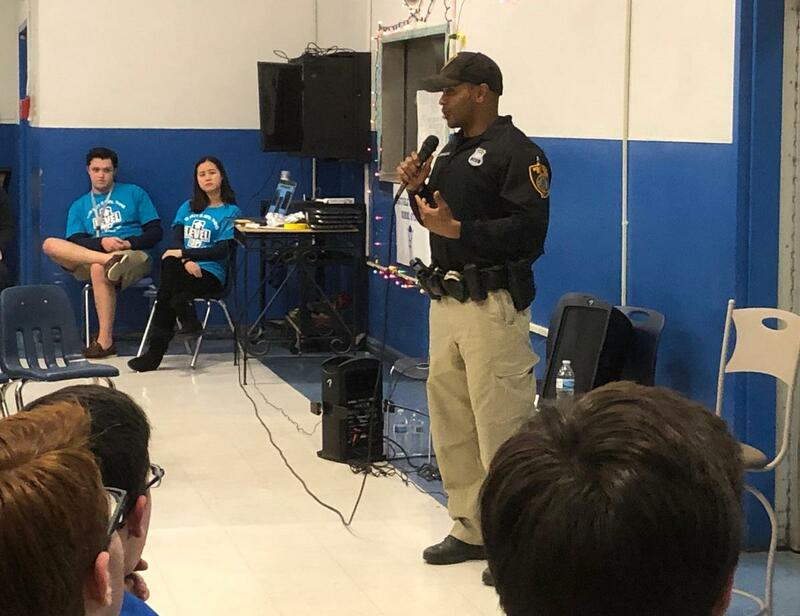 Speakers for the evening included Mary Claire Givelber from the Caring Contact crisis hotline/listening community and School Resource Officer and WHS alumnus Ricardo Johnson, who spoke about overcoming personal struggles but ultimately being able to find success in life. 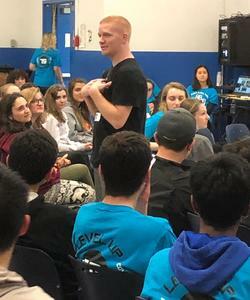 Johnson stressed the need to stay clear of drugs and alcohol, to find a support system and take part in positive activities, and to set personal goals. 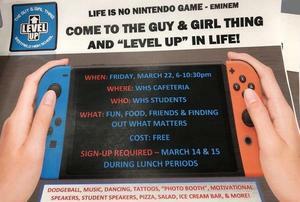 Following the powerful speeches, students bonded over ice cream sundaes, music, and March Madness matchups. Seven students won raffle prizes donated by local merchants YESTERades and Gennaro’s, as well as Dave & Buster’s in Woodbridge. 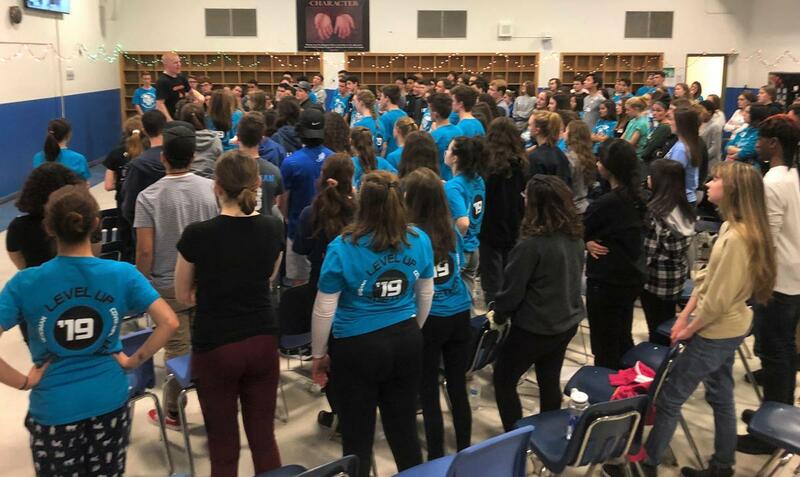 Kolesar thanked the many individuals and organizations who made possible the Guy & Girl Thing “through their generosity, support, and efforts.” Funding was provided by the WHS PTSO, the Westfield Municipal Alliance, and longtime WHS substitute, Mr. Frank Browne. Health teacher Michelle. 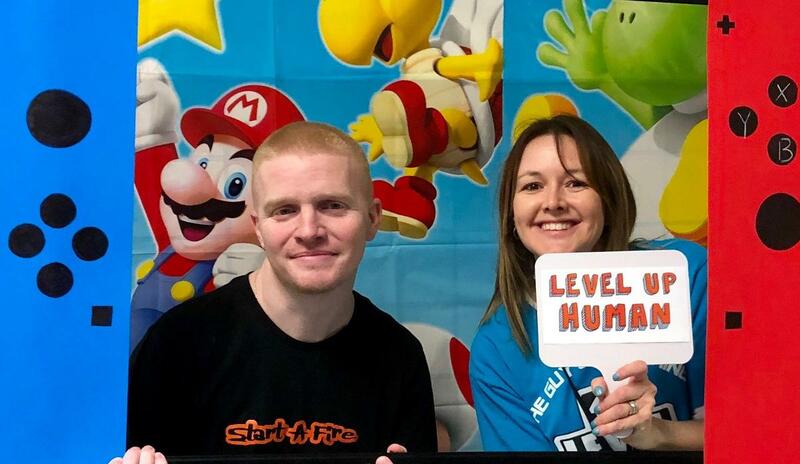 Spreitzer and health/physical education teacher Lauren Hauser worked alongside Kolesar to plan and run the event. C.J. Composto, another Wingman, offered that he learned many life lessons including that “you cannot keep doing the same old things in life and expect different results. You have to get up and create change in your life”.